I have a EGR valve problem. My check engine light been one and it seems to be a problem for inspection. I was reading and found out I can take it off and clean it. I have made several attemps to do so but I can not find a second bolt that it holds. I am 18 years old and trying to save up some money and do this on my own and not to take this car in the shop. Can any one please provide me with information how to properly do this and if possible with pictures. Nearly always, you do not have to clean the EGR. Instead, you have to clean the TB (Throttle Body). There are small holes in the TB that get blocked, and you have to clean them. There are instructions here somewhere. Do you know the check engine light code number? Thanks for reply! I been all over forums today and been waiting on reply. No I do not know codes but tomorrow ill go to autozone and will find them out.. I did unpluged my battery though wil that effect anything? Will I need to drive for few days or some amount of milles before I check it again? If you unplugged your battery you have very probably lost the stored codes. (To delete the stored codes, you unplug the battery, then turn on the lights, or press the brake pedal to drain the electricity from the car's computer). Yes, you will need to drive for a few miles to make the code come back. But I would not bother going to Autozone to read the codes again. 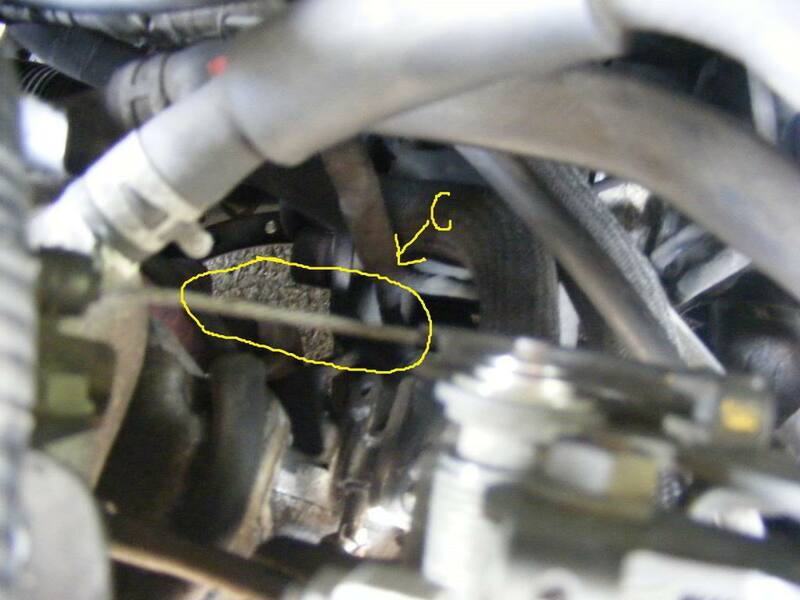 Nearly all EGR codes on this car are caused by a dirty TB. That is what people here have learned. Clean the ports (holes) in the TB, as Flora MacDonald said in that link, and you will very probably fix the problem. 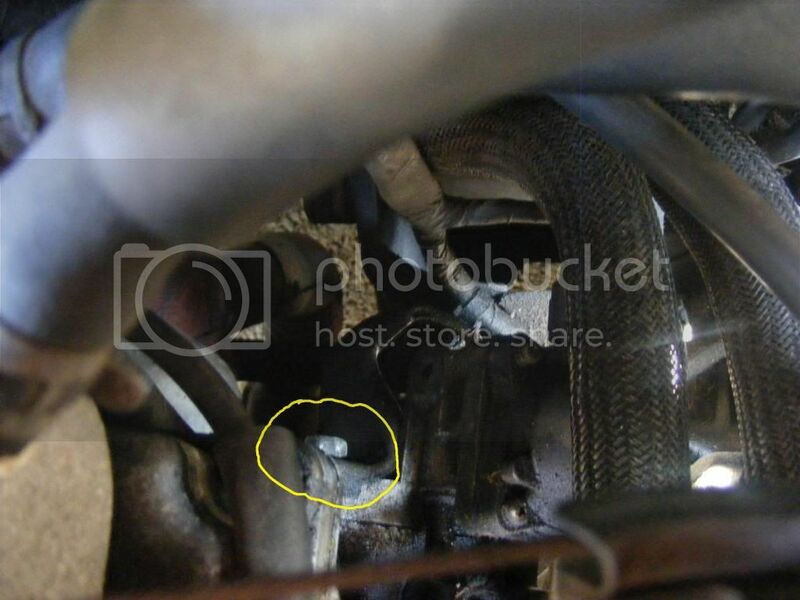 Can any one please explain to me where that bolt located and if possible provide with pictures? 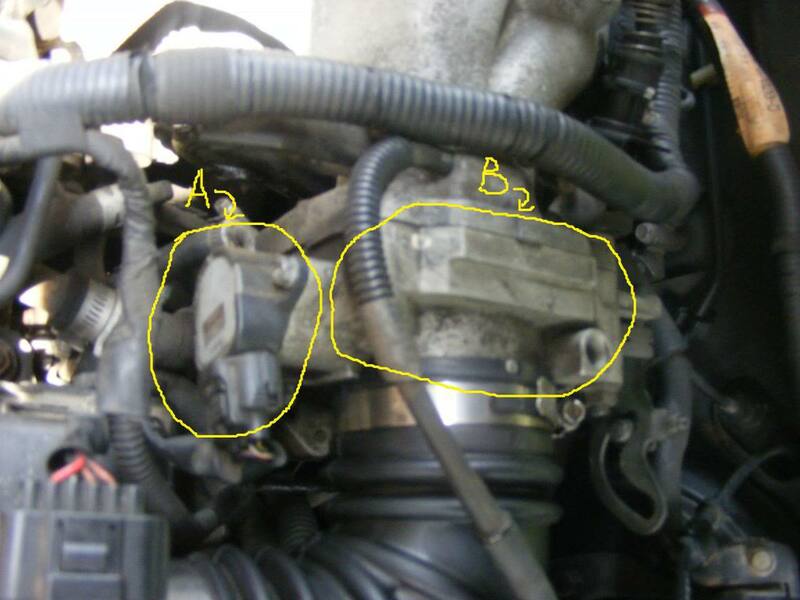 Check out this link, this will show you the egr valve location. The four bolts are in the four corners of the square part of it. They are philips head (make sure not to strip them though). Wow Great post! Thank you! I will try to get my hands on it today ASAP! 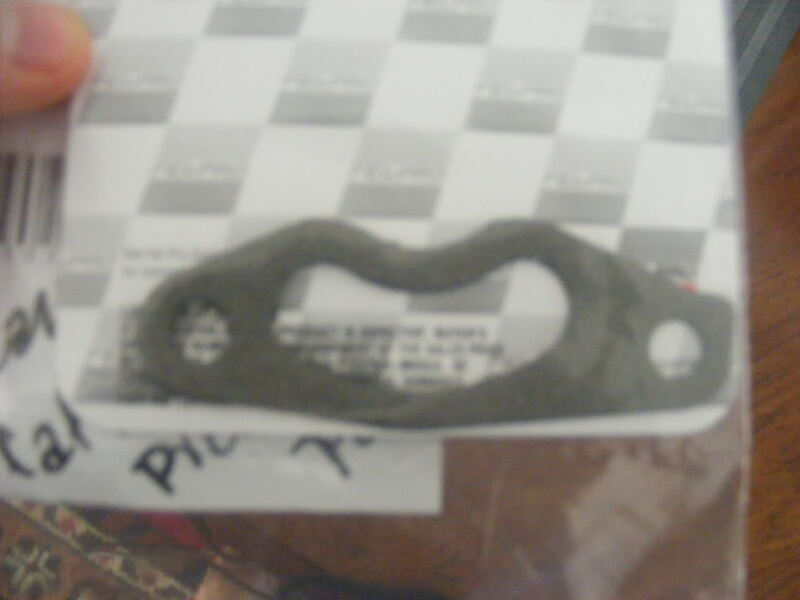 The gasket for the EGR Valve is solid metal so it can be reused. However you probably don't need to clean the actual valve, just the ports in the throttle body. If the ports are clogged there is no air flow through the sensor, so the sensor's code goes off. You would need throttle body cleaner (make sure it isn't carb cleaner) otherwise you can create more problems for yourself. Also, you can either get a throttle body gasket or for some reason the person that worked on my car last used Black RTV. I look at it, if they make an actual gasket, use it, but that is up to you. Ok so if I understood everything correctly I need to take TB off and clean all ports in there. I also notice a little wire or what ever it is ''C''. how do I remove it? Neuweiler is right. It was what I was saying. You probably do not need to clean the EGR. Instead, you need to clean the ports in the TB. That little more is the throttle cable. You will have to take it off to fully remove the throttle body. Grab the cable and pull it under and around and towards the drivers side of the car. It won't move far. There is a little pin that it's connected to, push that pin out and the cable will pop right off.